If you use KeyReel, you know we’re serious about making login safety truly safe and truly automatic. You already love its nearly invisible interface, seamless data transfer from your phone to your computer, and peace of mind that no one else has access to your passwords but you. Now there are even more reasons to keep KeyReel on your online security detail. Our new release gives you more power over your passwords, makes the interface even more intuitive, and gives KeyReel super-smart auto-login power. Sometimes you want to remember your passwords, but that means they need to be shorter, and a shorter password is usually weaker. 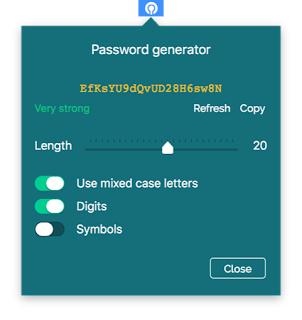 KeyReel now has a new password generator available on both its Mac and iOS components. 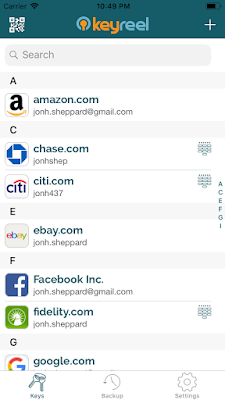 The simple interface and advanced algorithm analyzing password strength. You choose the length and character requirements, and KeyReel does the rest. 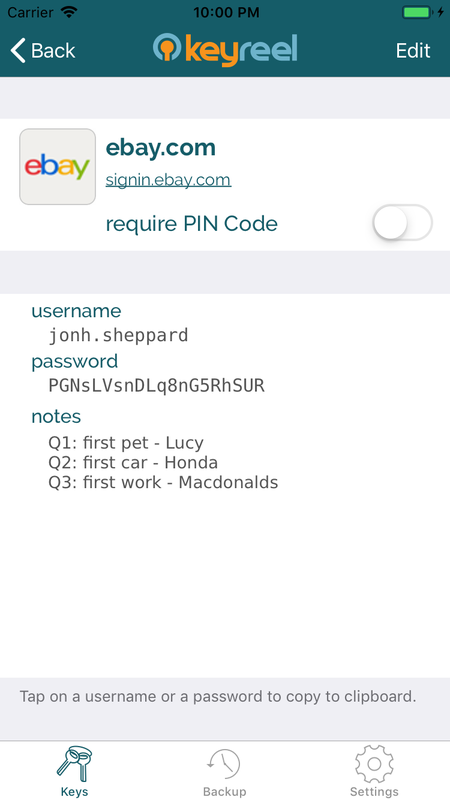 Of course, passwords aren’t the only types of data you need to secure. The new notes field in iOS lets you add information like answers to security questions and other sensitive information. After major improvements to our web extension’s performance, our web-parsing is now even better at login form recognition than LastPass, 1Password, Dashlane, and TrueKey (more on this later!). This means you can instantly log into even more sites with tricky authentication forms and workflows. 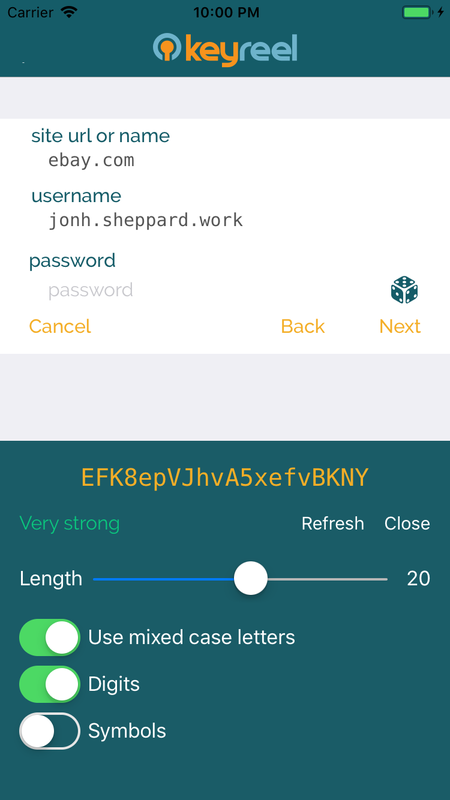 And nobody likes scrolling down a list, so once all your accounts are loaded into KeyReel’s vault, use the alphabet navigation on the right to jump quickly through the list. You can also access various accounts for same site with one touch. This is only the beginning. Our dream is to make safe logins and complete, individual data control the norm for every user. That’s why we’re positioning KeyReel to be much more than a password manager. Subscribe to find out what that will mean for the KeyReel app, interface, and experience in the coming months. And if you haven’t tried KeyReel yet, here’s the link to download KeyReel now. All your data goes directly into a high-security vault on your iPhone, so you’ve got nothing to lose but a lot of login hassle. Why do I have to have separate passwords for each site? How can I become more secure without entering master password each time? 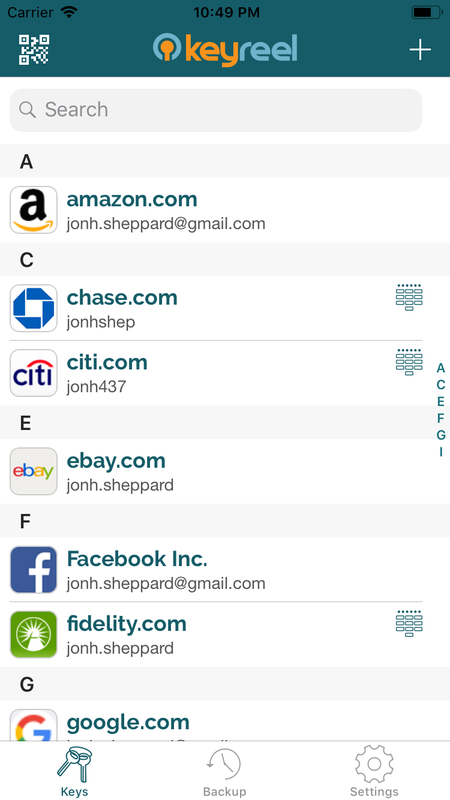 How can I avoid being hacked?